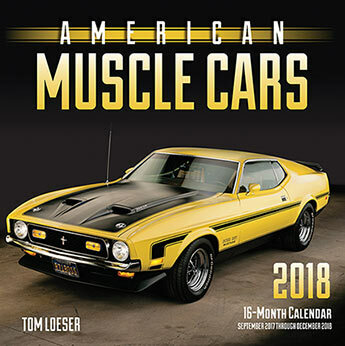 American Muscle Cars 2018 features 16 months of brutish machines from America's fastest decade, captured in all their glory by renowned auto photographer Tom Loeser. A muscle-car calendar unlike any other, featuring the rarest vehicles on Earth. 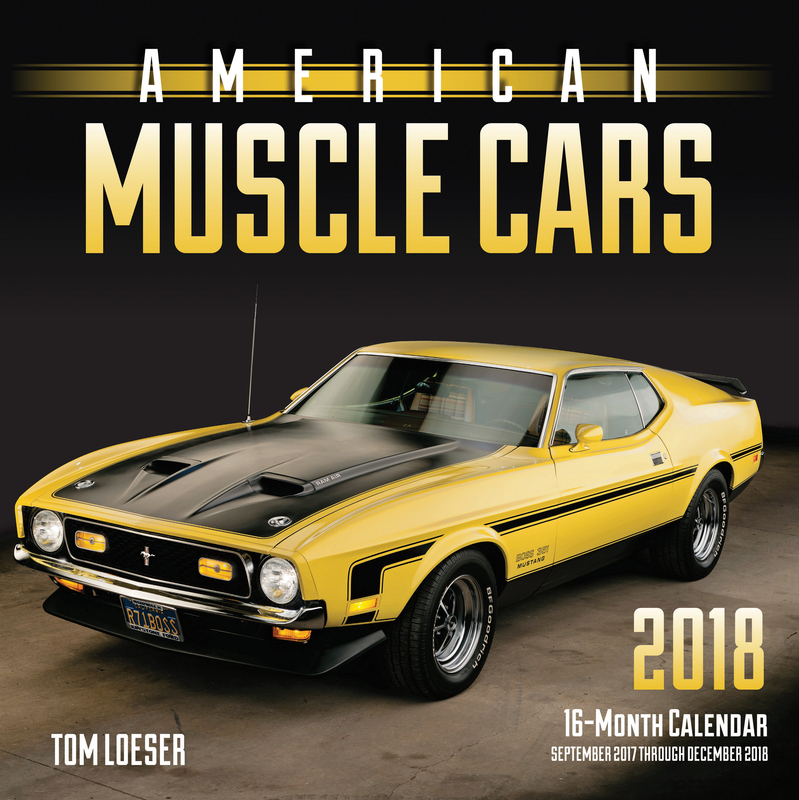 American Muscle Cars 2018 features 16 months of brutish machines from America's fastest decade, captured in all their glory by renowned auto photographer Tom Loeser. Showcasing some of the rarest of the outrageous high-performance cars that exploded onto the scene in the 1960s, this calendar includes muscle offerings from GM, Ford, Dodge, and Plymouth. Tom Loeser has worked as a Firefighter for the California Department of Forestry and Fire Protection (now known as CAL Fire), as a graphic designer and photographer, and as chief photographer for the Long Beach Grand Prix. Since 2012 he has worked full-time as a book photographer provided images for Motorbooks titles Art of the Corvette, Art of the Mustang, Wide-Open Muscle, and Classic Motorcycles: Art of the Speed. His next book, The Art of Mopar: Chrysler, Dodge and Plymouth Muscle Cars.